Time for another monthly recap and blogging income report. This is where I share what’s new in the world of Desk to Dirtbag over the past month and offer a bit of transparency behind the the life of a travel blogger. Torres del Paine National Park sits in the far southern end of Chile and it is renowned as one of the most emblematic and spectacular places in Patagonia. 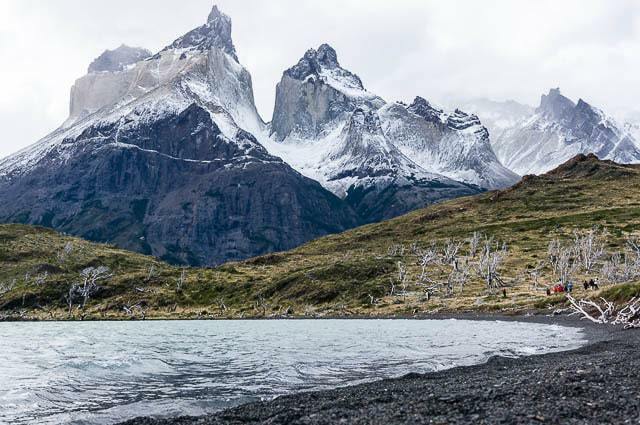 Torres del Paine is also one of the most expensive and complicated parks when it comes to hiking, especially if you want to do the famous W or O Trek, which requires reservations (and $$$). While we didn’t do the most famous trek, we did enjoy just exploring the incredible scenery and camping out for free for three nights. The towering mountains, the fickle weather, the dusty, bumpy roads, it was a truly outstanding place. One that I would love to return to and explore more one day. 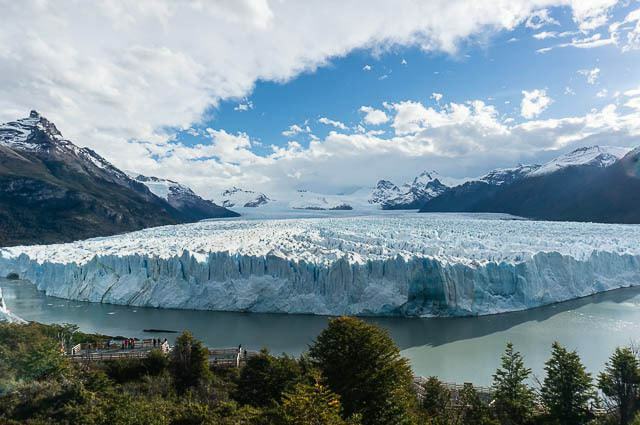 We had planned to visit the famous Perito Moreno Glacier in Argentina last month, but unwittingly stumbled into the town of Calafate during a massive music festival (read more in last month’s recap) and so we just left. 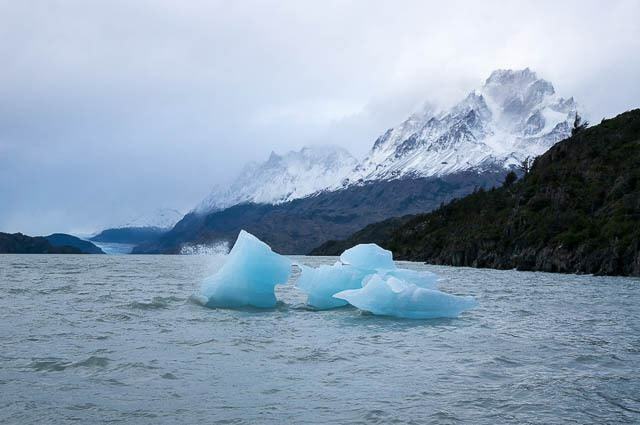 But there was no way we could come this far without visiting this incredible place… And I’m so glad we backtracked to return to Perito Moreno. This glacier is more than 100 feet tall and more than 3 miles wide… It is absolutely massive in scale! 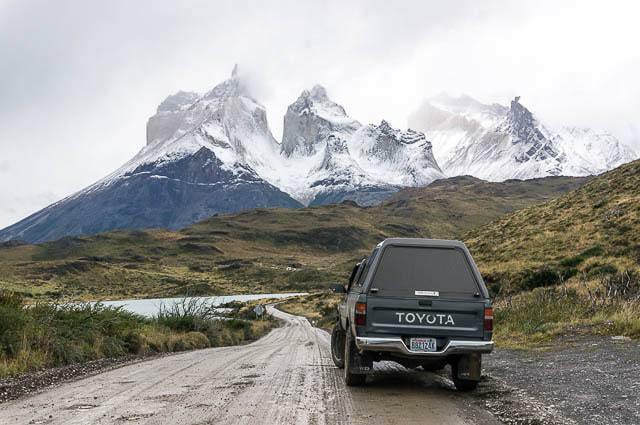 The sight was so impressive that we returned for a second day — the ticket is usually for one-day, but if you camp at Lago Roca you can get a stamp for a second day. We got to witness a few massive calving events as the glacier gave way and collapsed into the lake with a tremendous roar and big waves. 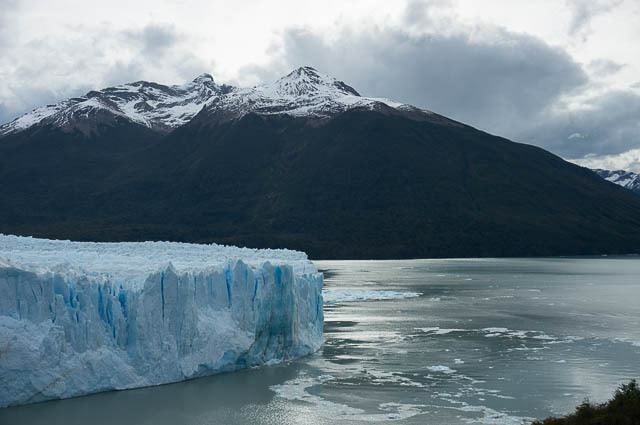 Despite the calving, it is one of the few glaciers that is actually advancing rather than receding. I even managed to capture a small calving on a time lapse! A few months back while we were in Puerto Montt, Chile, we made friends with a few fellow travelers who were staying at the same hostel. They were from Puerto Deseado, Argentina and encouraged us to stop by for a visit, a place that wasn’t even on our radar. The town is located about 1/3rd of the way between Calafate and Buenos Aires, so it also made a great stop over after a few long days of driving. While we were out of season to see the whales and penguins, we still saw an incredible amount of wildlife in this dry and dusty land, from guanacos and rheas, to the rare armadillos, and even a few lonely penguins. The real highlight though was the incredible hospitality offered up by our new friends as they gave us a place to stay, showed us around town, and just went above and beyond in every stretch of the word. Oftentimes the best parts of travel aren’t the sights you see, but the friendships and connections you make on the way. 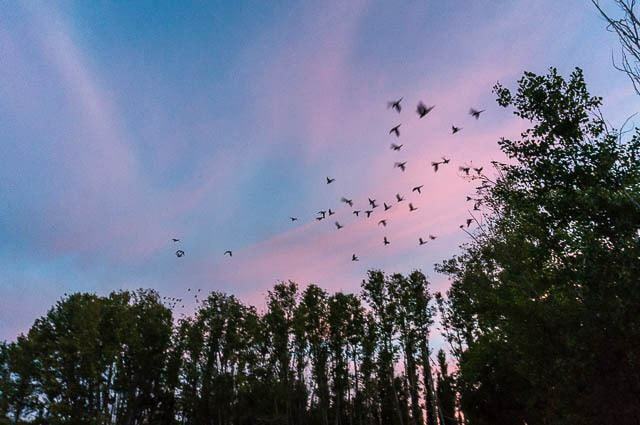 In March we drove basically the length of Argentina in a little over a week… In order to arrive to the outskirts of Buenos Aires, where we are now. This meant lots of expensive gasoline days, and northern Argentina has the most expensive gasoline of the trip at nearly $5 per gallon. In order to save money, we spent many, many nights camped in the back of gas stations (usually YPF gas stations) on the way. It’s not that bad, they’ve got bathrooms, WiFi (sometimes), decent food, and even showers. But it’s also not exactly the most elegant way to travel, nor the Instagram perfect picture of this life on the road. Although there was one incredible gas station which had a small forested filled with hundreds (maybe thousands!) of parrots. The sound was amazing. 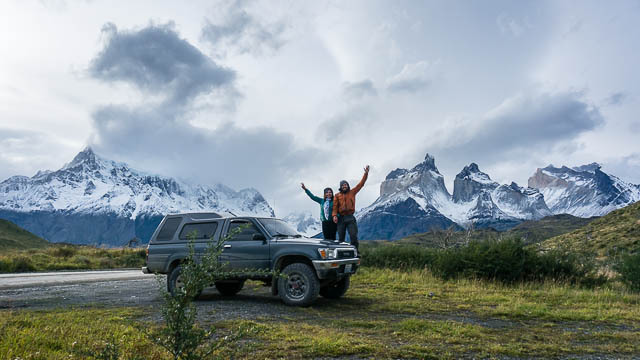 My recounting of our bad experience with a rental in Ushuaia, Argentina has proved to be quite popular, and while I had to learn the hard way, I’ve included some tips to help you avoid the same issues. Bear in mind, this is the only truly bad experience I’ve had on Airbnb, after many, many years of using the service, and I plan to continue using it from time to time. 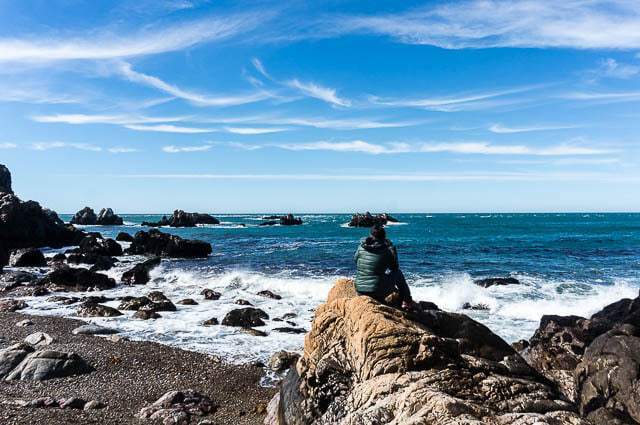 Living on Less is Living More – A Simple Guide to Financial Independence <– Even if you never retire early or become financially independent, there are important lessons to be learned here. How to Overcome Smartphone Addiction <– Before you #DeleteFacebook you should give some of these tips a try. The Controversy of the Pablo Escobar Tour in Medellin <– If you go to Medellin, don’t go on a Pablo Escobar tour, please. Exploring Santa Marta, Colombia – A Rough Gem on the Caribbean Coast <– My preferred city on the Colombian coast, rather than Cartagena. Visiting Copacabana, Bolivia and the Isla del Sol in Lake Titicaca <– A cool little town near the Peruvian border. 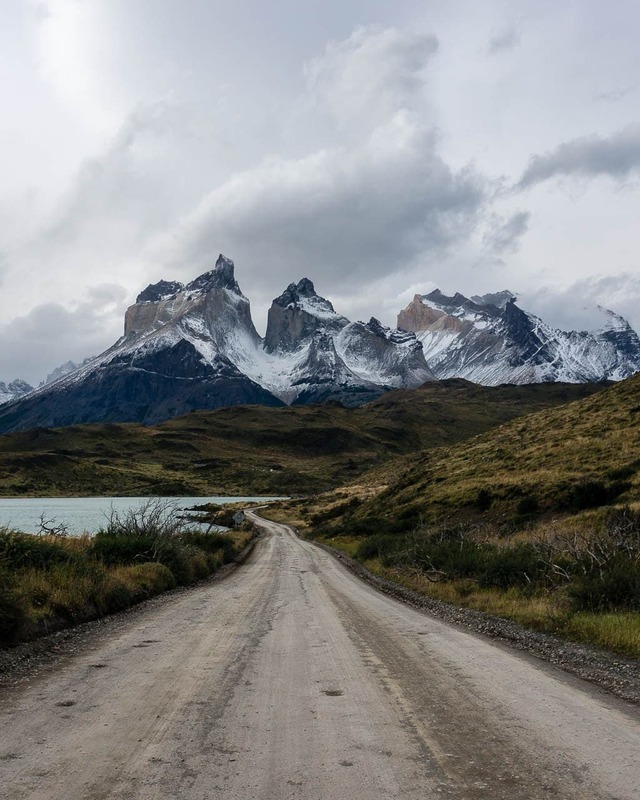 This shot from Torres del Paine was easily the most popular photo of the month… And what’s not to love?! Be sure to follow me on Instagram for more photos of my adventures. I’ve read a lot of great books on money and finances, but had never read this classic read. I figure it’s always good to learn more or refresh your memory, so I grabbed this book. It’s a perfect book for someone struggling with their finances, especially with debt. It’s got a very practical approach to getting a handle on things, and while I may not agree with absolutely everything, if you do it, you will be way better off than the majority of people. This is another great read which concentrates more on achieving financial independence or the ability to retire early. People make investing and all that way too complicated, but there are much easier ways to go about it and which will see much better returns than actively managed mutual funds. A great read for furthering your knowledge. So yeah, I was on a bit of a personal finance kick this month for a refresher, but step 1 to this lifestyle I lead was simply having a solid financial foundation. It’s the most fundamental step whether you want to travel or just buy a house. So, February was the best ever month in terms of income on Desk to Dirtbag, and then March came along and blew it out of the water with a whole 50% increase! I was totally floored when I sat down to add up this month’s earnings, and surprised when Mediavine accounted for more this month than my earnings from ALL sources last month. That can be attributed to a few things, 1) increased visits, 2) they’ve begun paying their annual bonuses each month rather than once per year, so that’s a 1% increase, 3) implemented a new logic to display their ads, 4) I’ve started putting my YouTube videos into Mediavine, which has about a 10x increase in earnings, 5) it also includes the pending $49 bonus I had from previous months since they changed when it would be paid out, and 6) the end of Q1 results in higher payouts from advertisers. This means that I achieved my increased income goal unexpectedly fast, so I guess it is time to bump up the goal to keep me stretching for more. Remember, these income reports are passive income from the site and does not include income from freelance writing which is still my main source of income and my primary side hustle. P.S. Some awesome offers lately if you want to start travel hacking… Namely the JW Marriott credit card which equals free nights in luxury hotels, or if you’re new to this world, you might want to get started with travel hacking with the Chase Freedom card, which is probably the quickest win in the travel hacking game. That’s all I got for you this month. Are you following along on Instagram or Facebook? Be sure to do so, if you want to get the latest. As always questions, comments, and feedback are extremely welcome.